LOW None of the control schemes are particularly good. We all know (or at least we should) that making games is hard. What’s even harder is to get noticed. The saddest stories in gaming are the ones where good people work tirelessly, max out their credit cards, don’t screw people over on Kickstarter, and then ship a great game to the sound of crickets. 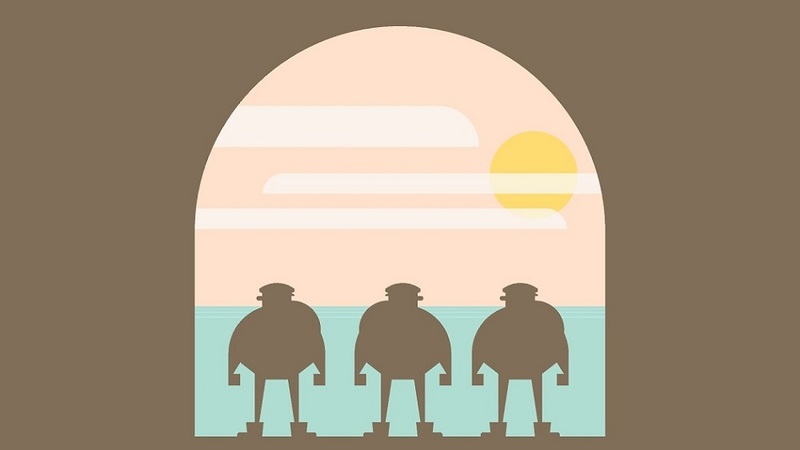 This is increasingly becoming an issue in the indie scene, where for every Fez there are ten games like Burly Men At Sea — an incredibly charming title released into the abysses of the Steam store and mobile devices. It was named one of TIME Magazine’s ten best of 2016, and someone like me who covers the industry had never even heard of it. The game then got another crack at fame as a timed exclusive for Sony’s devices last year, and, again, it didn’t make a ton of headway. Thankfully for the husband and wife team of developer Brain & Brain, they’re getting a third chance to shine thanks to its recent Switch release. Nintendo’s console is building a reputation as a great place for indie titles to thrive, and hopefully Burly Men At Sea can finally get some well-deserved recognition. 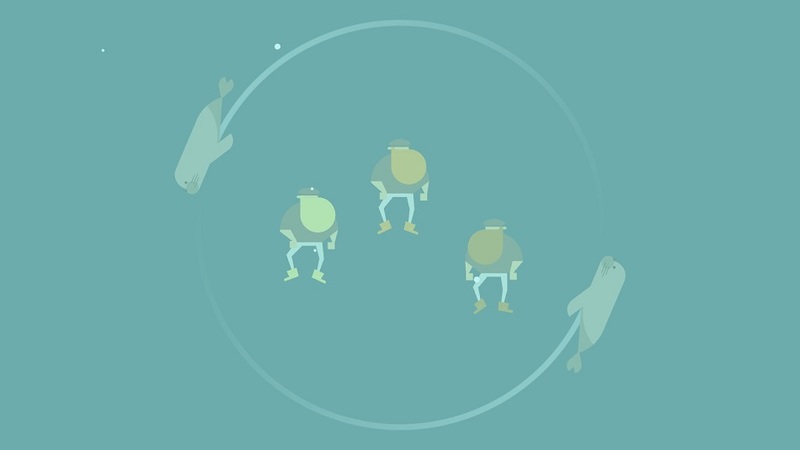 The game is loosely based on Scandinavian folklore and stars, well, three burly men. The Beard Brothers (known as Brave Beard, Steady Beard, and Hasty Beard) start out in a small fishing village, find a map in a bottle, get a tip from the local barista, and head out determined to find adventure sailing the seas. I usually detest the term ‘walking simulator’ because it’s mostly thrown out in a negative way, but walking is just about all there is to do here — there are no puzzles and very few things to interact with. People who don’t like games of this ilk won’t like this one, and may find it one of the more egregious examples. While one of the primary complaints leveled against this genre is the extreme linearity and lack of replay value, this is one place where Burly Men At Sea is able to differentiate itself. The game features twelve endings and branches based on what path is chosen. Each adventure consists of four routes, and once a tale reaches its conclusion, the brothers Beard are transported back to the village to start their journey anew — or maybe they’ll just hang out at the cafe or bother the pretzel lady. One thing I particularly enjoyed is that there isn’t really a ‘true’ ending. Each narrative thread can be enjoyed independently as its own little adventure, yet are essentially the same story — the difference being one action may have players visiting a rock giant who loves flowers, while another transforms the brothers into seals so they can swim underwater. Each playthrough is around 20-30 minutes, and if the player has one particular version of the tale they enjoy, the developers have included a truly awesome bonus — each ending features a code which can be entered on a website where one can order a physical picture book version of the specific story they experienced. That, my friends, is truly novel, and the bright, minimalistic art is so good that I wouldn’t mind having a physical representation on my coffee table. The game features multiple control methods, but unfortunately, none are very good. A circle encapsulates our three burly men, and via the touch screen or the L&R buttons on the joycons, the circle will expand to the left or right while the characters trail behind it. A cursor is used to interact with various things in the environment. With the Switch, players can also employ a Wiimote-style control scheme, but this doesn’t work while the system is docked, and it’ll be a quick reminder that we should all be thankful that the industry shrugged off the Wii’s control methodology. Using the joystick to move the cursor is rather sluggish, and I wish the pace of moving everything was a tad faster, but thankfully the game doesn’t have any situations that require quick inputs. Overall, BMAS feels like something that was designed for phones first, and then ported to everything else. Disclosures: This game is developed and published by Brain & Brain. The game is available on iOS, Android, PC, PS4, Vita, and Switch. This copy of the game was obtained via publisher and reviewed on the Switch. About four hours were played, and over the duration, seven of the twelve endings were discovered. Parents: According to the ESRB, this game is rated E10+ for Fantasy Violence. The game is hardly violent, and parents with young kids who either like boats or picture books in general shall find this to be a solid choice. Deaf & Hard of Hearing Gamers: The game features subtitles during all cutscenes and there are no necessary audio cues. It’s fully accessible. Remappable Controls: This game’s controls are not remappable, but there are multiple control options.